Today is the last day, to say goodbye to analog 121.5 and 243 MHz frequencies emergency beacons. Starting from February 01, NOAA (National Oceanic and Atmospheric Administration) satellites will only receive signals (digital) from the new 406 MHz frequency emergency beacons (ELTs for aviation use, EPIRBs for maritime use and PLBs for personal use). The older emergency beacons, operating on the 121.5 and 243 MHz frequencies are now phased out and will no longer be detected by SARSAT. 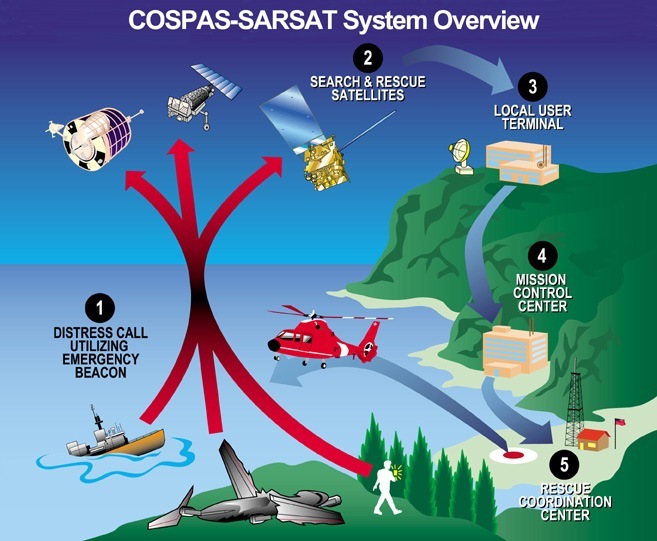 SARSAT(Search and Rescue Satellite-Aided Tracking) system is operational since 1982 and was developed jointly by the United States, Canada, and France. In the United States, the SARSAT system was developed by NASA (National Aeronautics and Space Administration). Once the system was functional, its operation was handed over to NOAA. NOAA’s polar-orbiting and geostationary satellites, along with Russia’s Cospas spacecraft, are part of the international Search and Rescue Satellite Aided Tracking system, called COSPAS-SARSAT. NOAA has provided advance notice of the switchover since 2000. Here is a comparison, highlighting the advantages of 406 MHz frequency emergency beacons. To read more, log on to NOAA – SARSAT.